Special project designed for Dublin's Revenue Tax Office. Replacement of low performance single glazing with maintenance free aluminium clad sliding sash windows for greater insulation. 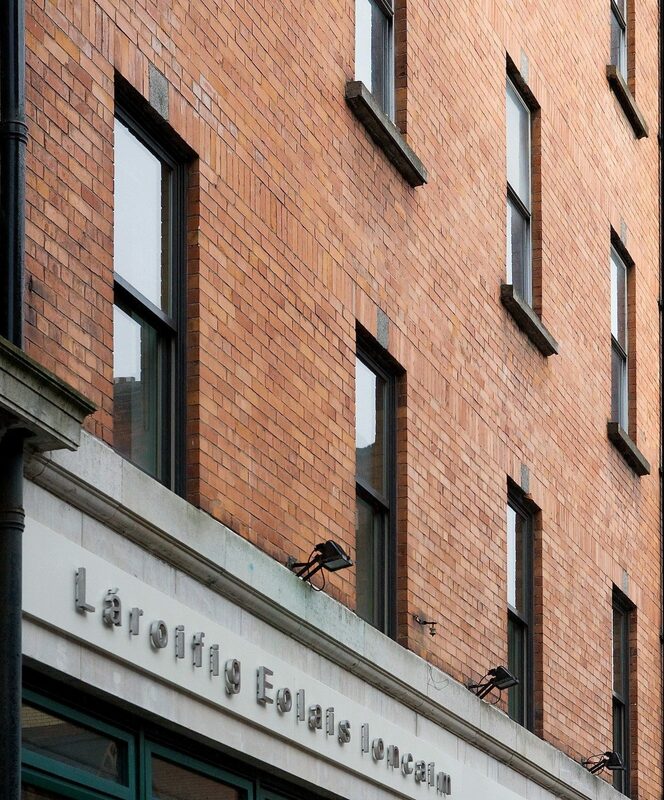 Based on Dublin’s O’Connell Street, the Revenue Tax Offices are located in the heart of Dublin City Centre. The windows in the Revenue Tax Office were low performance single glazing, which the clients felt was costly due to the lack of insulation and loss of heat. It was decided that Signature’s maintenance free aluminium clad window units with a high performance Low E 11 glazing would dramatically improve the quality and comfort in the offices. In undertaking this project there was a number of issues which needed to be considered carefully. A short lead time, meant a quick turn around from the ordering process to installation was essential. A project manager provided by Signature ensured delivery at appropriate times. This was vital as accessibility was limited to certain times due to the city centre location. As well as this, the project manager carried out a health and safety plan and assessment. 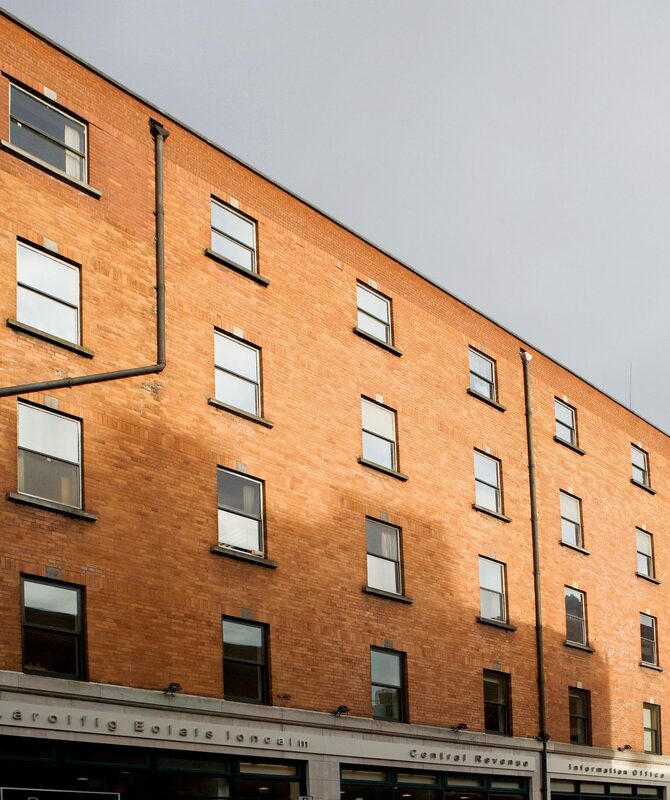 A Clad Ultimate Sliding Sash window in Bronze Clad Exterior and with a Pine Interior was the choice for the Revenue Tax Offices. All of these windows were custom sizes built to fit the original opes. As well as the custom made windows, a specially made Signature cill was supplied. Signature Windows again proved that their windows are built specifically for individual clients needs. Replace a low performance single glazed window with a high performance double glazed Signature Sliding Sash. Bronze Clad Ultimate Double Hung Sliding Sash.